PS4 will feature integration with smart phones, tablets, etc. 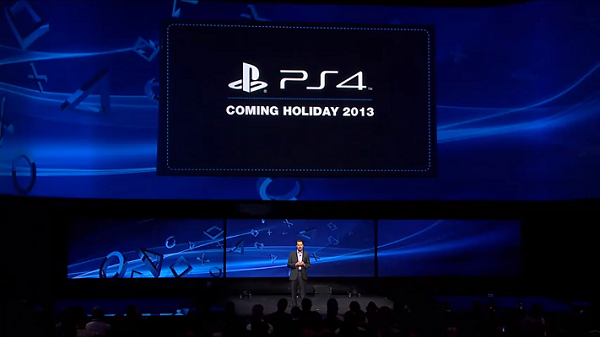 PS4 to have Netflix, Amazon, Epix, NHL Game Center, MLBTV, etc. It sure was an exciting conference, with lots shown. As a whole, I am cautiously optimistic about the PS4. PS4 footage looked absolutely stunning, a great upgrade from the current generation, despite all the nay-sayers in the past explaining about how graphics had reached a peak with the current generation. And these are early titles we’re talking about. 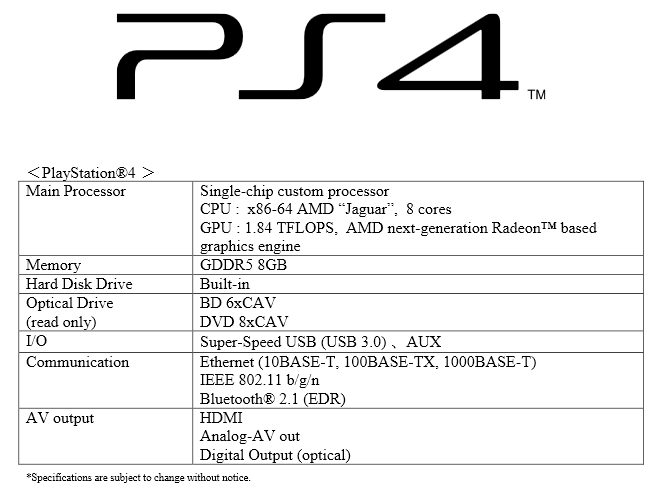 I am also absolutely delighted with the specs, especially the 8 GB of DDR5 RAM. That’s amazing potential for the developers. 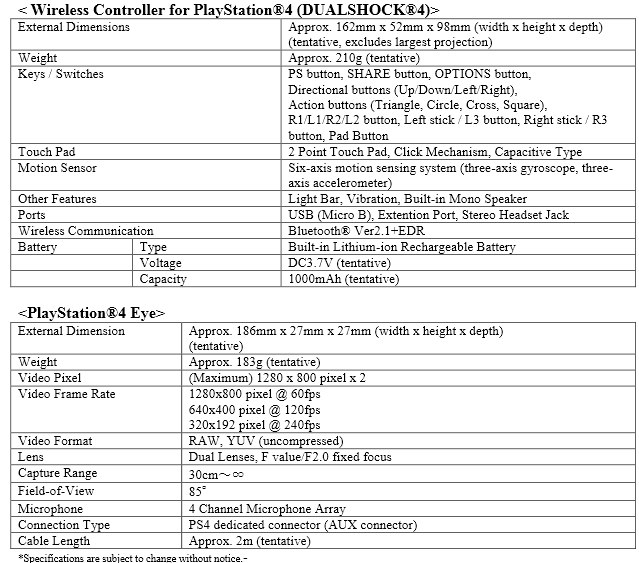 I’m happy with Sony listening to the developers’ suggestions about the PS4 architecture. 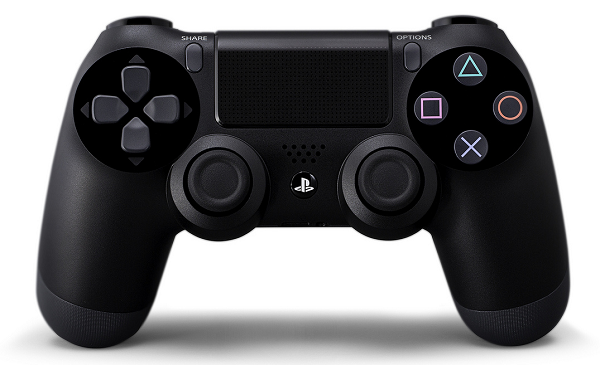 The DualShock 4 also has some potential with its improved analog sticks and trigger buttons, although I don’t think additions like the touch pad will be very useful. 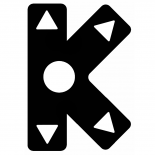 I’m just not a fan of gimmicks, I liked the tried and true means of controlling your games. I was somewhat thrilled with Knack, The Witness, Deep Down and the Square Enix video – the rest of the games aren’t really up my alley. I’m interested in the gameplay streaming capabilities of the PS4, too. On the negative side, “PS4 will use your real names and profile pictures” was by far the most worrying. I don’t want my game console playing Big Brother on me, I like to keep my privacy. I think this will turn out to be mostly a misunderstanding, though, and people won’t be required to give away their private information. Backwards compatibility also didn’t sound well – like something that’s still far away in the future. Best to assume PS4 will have none of it at this point. But sacrifices had to be made in order to make the PS4 architecture developer-friendly (different architecture means bigger BC requirements). Of course, the fact that a price has still not been announced is also something to keep in mind – but I’m sure Sony have learned from their mistake with the PS3 and it’ll be nowhere near $599. One thing I simply don’t understand is people, including “professional” game journalists, complaining about the PS4 box itself not being shown at the conference. What a joke… When it comes to hardware, looks are far less important than what’s inside, and we got the more important part – the specs, which seem to be the bomb. As a whole, PS4’s future seems bright at this point. Powerful hardware, developer-friendly architecture, massive third-party support guaranteed to develop high-budget, quality titles on such strong hardware. The rumours about the PS4 blocking used games were also not true (which means Microsoft won’t do it, too, as it’d practically kill their next console). As long as they don’t ask too high a price and don’t actually force the whole “Big Brother” thing on players, Sony are well on their way to have a massive hit on the market.